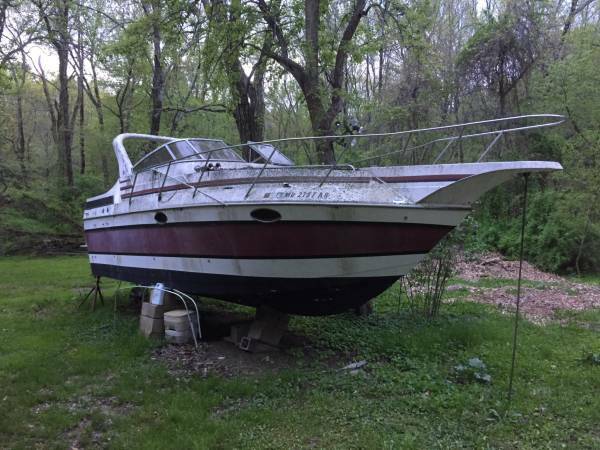 Free 1989 Sunrunner 266 cabin cruiser. If you have the time effort and money this could be a great boat. Boat looked as it does now when I got it and I had cleaned it up so it does clean up very well. Motor turns and is a Volvo Penta AQ271 (8 cyl) needs new water pump. 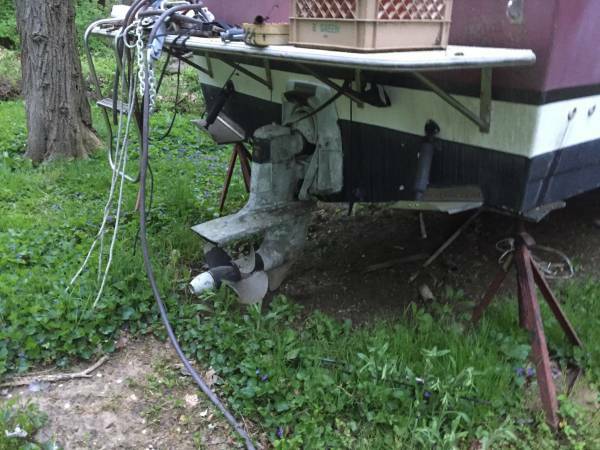 Must have hydraulic trailer or hire someone who does to move it, boat does not have trailer. Last time I had it hooked to power all cabin features worked.